After my own direct awakening experience in 1995 I was left with the life purpose to create support material to help you also discover; unshakable happiness, inner love, divine knowingness and freedom from personal suffering. In 2015 Gentle Touch mystically emerged through me to help take mankind's evolution a stage further. The New Awakening Process contains nine modules to support the three stages of a persons evolution or spiritual journey before the mind returns home to the heart of the Divine. This amazing process is a preparation for the awakening and merging with the God-self. I am now giving this to the world FREE for a small donation. Welcome to the Awakening Process for Universal Love. This is the most exciting new practice I know. It is called 'Gentle Touch'. Through this practice you will automatically experience; how to Heal, how to Create Abundance, fulfill your Life Purpose, experience relationships centred in Love and most importantly Awaken to who you really are as a unique human being. 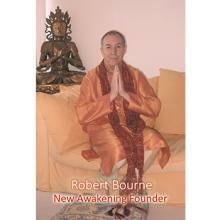 Welcome to 'New Awakening Reiki Healing'. I have created professional accredited approved home-study multimedia learning material for Reiki Healing. The Reiki Second Degree mystical attunement is to the three spiritual bodies. At the Master Teachers level I have provided you with three videos showing how to carry out each of the three Reiki Attunements.